Gutter cleaning for your Bristol home is one maintenance job where spending a little money in the short term will save you a fortune over a longer period. Regular gutter cleaning will prevent blockages that can lead to a leaking roof and structural damage that's difficult, expensive and disruptive to repair. The great news is that when you choose Gardening Services Bristol as your gutter cleaners you'll get a service that's simple, affordable, and hassle-free. Long before blocked guttering impacts on the structure of your home, it may be impacting on your health. Stagnant water forms a fertile breeding ground for mosquitoes, cockroaches and other insects which you certainly don't want to encourage. Clean guttering in Bristol creates a healthier environment. Combine it with another of our services, maybe a garden clean up or path, driveway and garden clearance, you may even save money on the cost of your services in the form of a discount offered to multi-service users. Professional gutter cleaners in Bristol will arrive armed with a state-of-the-art gutter vacuum cleaner, complete with camera. They'll inspect your gutters and down pipes from ground level and identify problem areas. The gutter vacuum system means no scaffolding, no cleaners clambering over your roof and no need for detergents of any kind. You'll even be able to see before and after pictures of your drain pipes and gutters, so you'll see for yourself what a difference we've made. Check our client reviews to find out what past customers think about the speed and efficiency of the gutter cleaning system. Just pick up your phone and call us 24/7 on 0117 242 0007. You'll get straight through to our customer care team. Ask for your free quote - we think you'll be pleasantly surprised! You'll then be able to make your booking for gutter cleaning in Bristol in that one quick phone call. 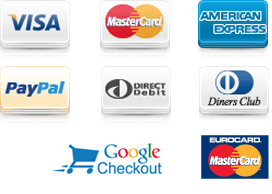 You'll pay for your service after the work is done and have a choice of cash or card payments. If by some chance you need to cancel or rearrange your appointment, there's no cancellation charge so long as you give two days' notice. 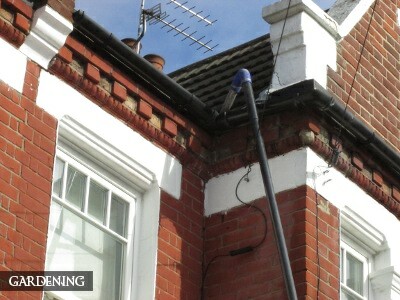 Make your booking with Bristol gutter cleaners, or get your quote online if this suits you better. Either leave your details on our contact form so we can call you back at a time of your convenience, or make instant contact with us right now by typing directly into the chat box at the bottom of this page. You'll get an immediate reply, so this is an easy way to send a question or make a booking whenever you're on site.